Travelling should never be stopped; you should not leave even a single chance to explore this beautiful world. The travel is not only about right time and location it is all about expenses and comfort. Traveling is not always with choice or out of choice, it all depends on the situation sometimes you plan your trips knowingly that is you know about your trip a weeks ago sometimes it’s all about instant travelling, business trip or number of other works that are need to be done in a limited time in these cases we generally use flight as our medium specially when we travel to other countries. On spot ticket booking is always expensive then making your bookings weeks ago. However booking your tickets will not be so difficult task when you book your tickets from these online stores. 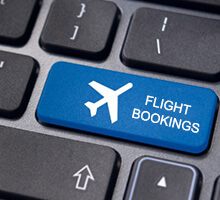 They not only offer you easy bookings from its mobile apps but you can book your flight tickets at affordable range and at any time of the day. The stores like Yatra.com make my trip, Goibibo, ease my trip and others which bring its customers with comfort and ease to travel this beautiful world and offers number of money saving deals that let them enjoy their trips at lower range. Enjoy the best deals on International flights and avail a discount of up to 25% on Kenya Airways. Offer valid on bookings made through Easemytrip’s Website. No coupon code is required to avail this offer. Plan your holiday and book from Yatra and get up to Rs. 10,000 Off on International flights. Offer valid on Yatra’s Website and Mobile App only. A customer can avail this offer only 2 times from one id. Promo code is required to redeem this offer. Hurry!!! Limited period offer. Get an instant discount of Rs.20,000 on your International flight bookings made through Easemytrip. Offer available only on Easemytrip’s Website, Mobile site or Mobile App. User must add the promo code at the time of booking. Fly from Delhi to Bangkok in best fares starting from just Rs.7999. Price depends on the availability of flights and seats. Offer not applicable on infants and group bookings. Book your International Flights using Musafir’s Website or Mobile App and avail a discount of up to Rs.10,000 on your booking. Offer valid only if coupon code is successfully entered before the payment. Save your money and book Business class tickets in Qatar Airways at Cleartrip starting from just Rs.80,998. Offer valid on bookings made through Cleartrip’s Website or Mobile App. Hurry!! !Limited period offer. Book your tickets in advance that are before 6 weeks. Grab all online coupons and discounts and sign up for the free alerts. Choose the right time and right day. Go through all the morning deals and check the available low-cost airlines. MakeMyTrip - Being in a market from a long time this online portal brings an exotic travel options to countries like China, Macau, Hawaii, Switzerland, Travel the ports of South Africa, go see the ecstatic Europe or the land of the Americas, Argentina, Brazil and Peru and some of the native islands of the world. Yatra - One of the well-known travel portals that have become a household name is Yatra. 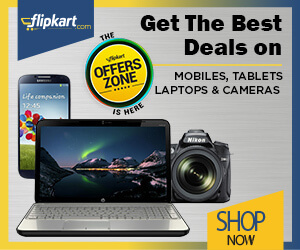 This online store is best at offering its customers with alluring deals and discounts. This online portal covers accommodation for half a million of hotels worldwide. Designed in a unique way Yatra believes to offer its customers complete traveling comfort whether it is about booking rooms or your air tickets and so on. Cleartrip - One of the better competitors of this online store Cleartrip is committed to fulfilling all your travel needs. From hotel bookings to comfortable flight it offers everything to the most visited destinations that include Dubai, Malaysia, Singapore, Bangkok, Bali, Andaman and Nicobar, London, Australia and so on. Apart, the discounts on flight and travel this online store offer better and best deals on your cab booking, bus, and accommodations. There are numbers offers available through these online stores which make it customers allure for more. Downloading mobile app of your desired store will keep you updated with ongoing deals and discounts and let you grab the best deals within a short time. Be it travel trip to your desired place or some of the most visited places like Abu Dhabi, Singapore, Malaysia, Hong Kong, Australia, Canada, NZ, Dubai and so many more international tours it will leave you wanting for more. You will be served by some of the leading and most admired flight services like British Airways, Air France, Gulf Air, US Airways, American Airways, Kingfisher Airlines, Qatar Airways, Singapore Airlines, Malaysia Airlines, Others include Lufthansa Airways and Thai Airways, KLM Airlines, Etihad Airways, Air Arabia, Delta Airways and more and will make every effort to make your trip happening and memorable at an affordable range.